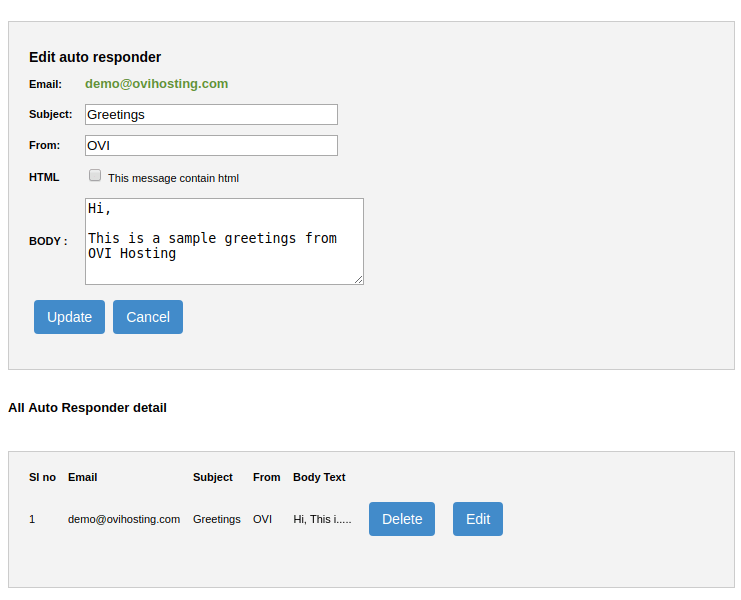 How to create Autoresponder Messages in my control panel? An autoresponder is nothing but a small script which makes your work much easier by its automatic prewritten message to anyone who submits email to a particular address, whether an individual or a Web site. If you are using this module to send key messages from your business without creating any manual messages and sending those messages out, Then you need to take care of spam messages not been delivered to the users. Make your messages as regular appearances on your users inbox with proper smart messages since avoid spam contents and IP block problems. Make sure that you have added proper Mx, SPF, DKIM, PTR Records under DNS Zone editor module. If not then you need to update it and wait for certain propagation time. Check the Mail ids twice which is created under Email Accounts Modules Before it is added under Autoresponder. Make the response message much simpler with professional words. In the Mail section click on Mysql Databases Module. Now you will be able to see list of Autoresponders which is present if created or using the form below create a new Autoresponder. 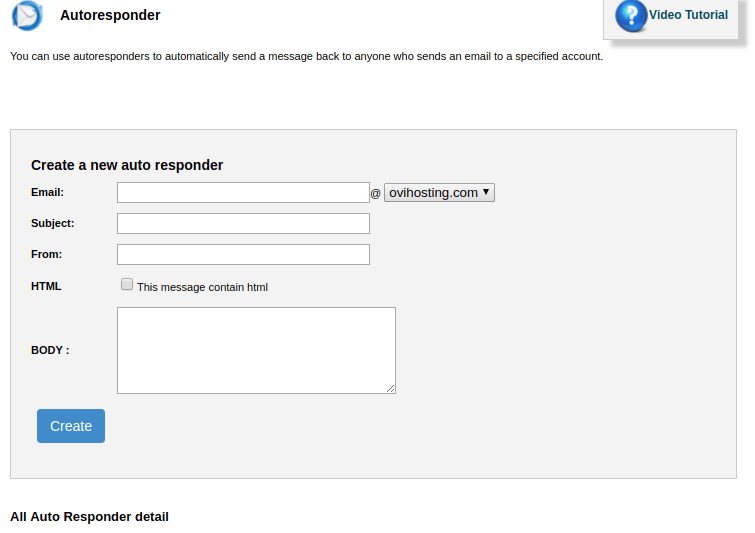 If you want to delete the Autoresponder just click on delete button. Under Edit option it is possible to update the subject,from, html, body informations. How Do I Enable an Alternate SMTP Port on Cloud? How to Change Nameserver for a domain using HostingRaja chatbot?